I’m feeling incredibly lucky this week. I’ve done several shoots and have been blessed with incredible light at each of them but this one took it to a whole new level. 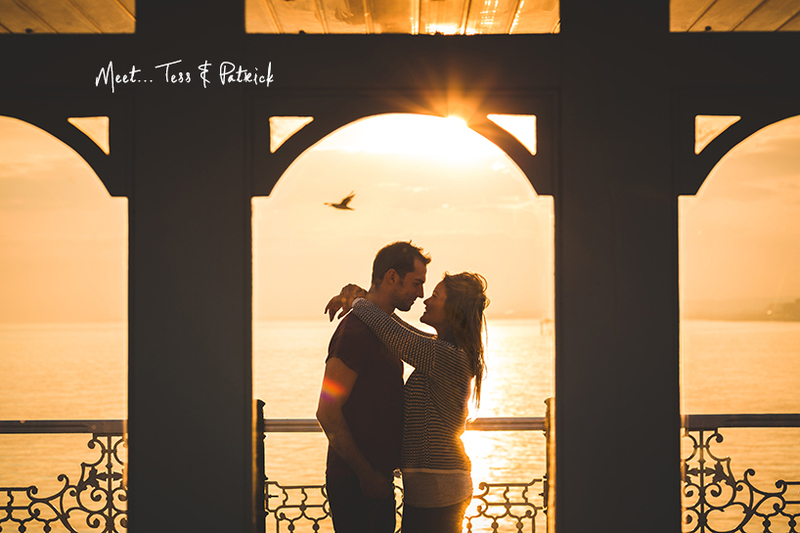 For Tess and Patricks Brighton Engagement Shoot the sun gods smiled on us enormously. Sometimes it just all comes together for you and this was one of those nights, I genuinely can’t remember soft, warm, sunlight like it for a long while. So Tess and Patrick get married a little later this summer at Marle Place in Kent and it can’t come soon enough, their planning and attention to detail has been incredible and I’m certain it’s going to be a beautiful day of celebrating. I won’t fib I was a little nervous in the run up to this shoot. Doing an engagement shoot on a Friday night in Brighton is always a gamble, with stag and hen do’s crawling up and down the streets you’re really fortunate if you can find somewhere quiet away from the hustle and bustle to make some pictures. 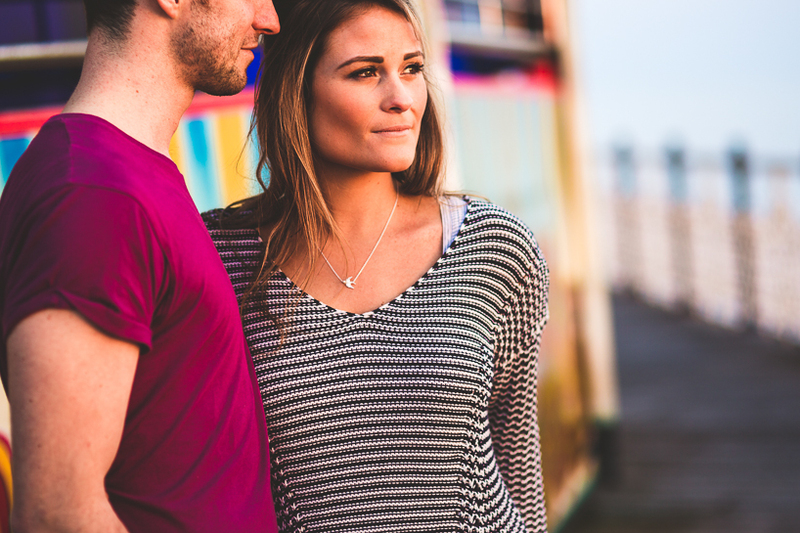 We found that spot right at the very end of the pier, hiding behind the Waltzers. As the rides span around and around we soaked in the last rays of the day looking out across the water making pictures. It’s definitely my favourite way to spend a Friday evening. 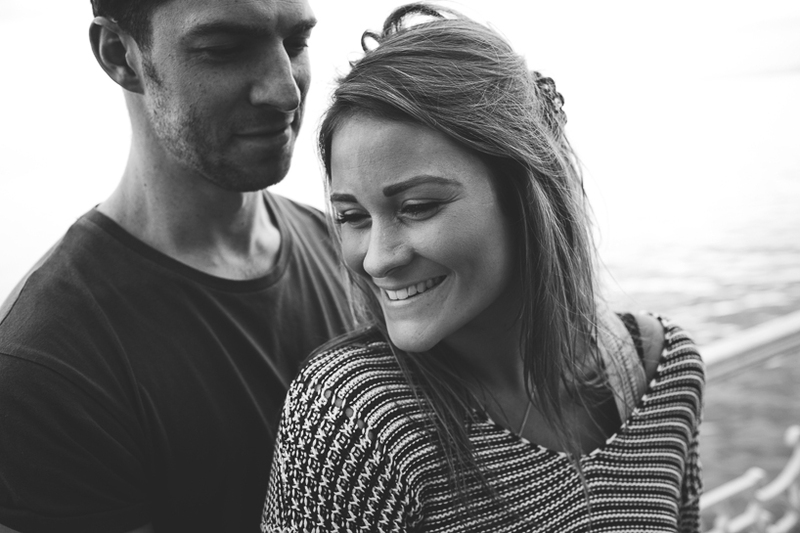 Engagement Shoots are an exceptionally good way of getting to know one another, to work off any nerves you might have about having your photo taken before the wedding and also just to have some fun in an environment completely different to where you’ll be getting married. If you’d like to know more then just drop me an email via the contact form and I’ll send you our brochure with all of the details you need. 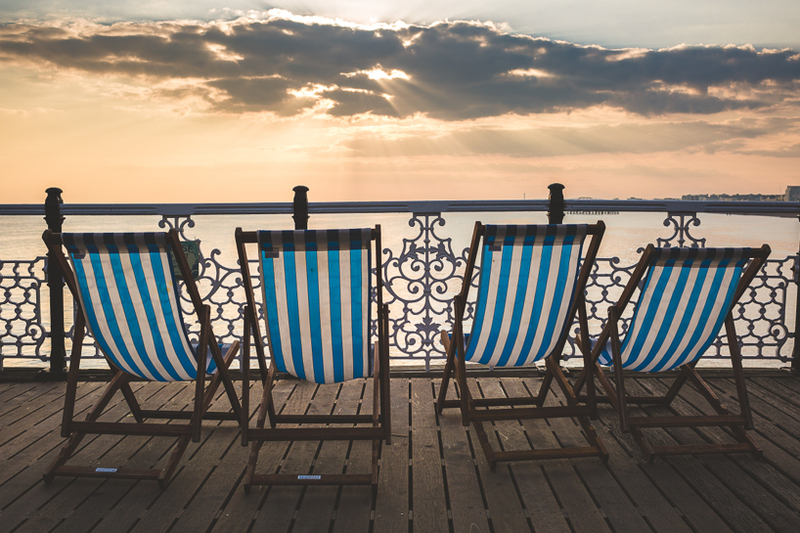 Some great shilouette shots – love the deck chairs too! Fantastic stuff mate, incredible light but even without that light these would have been brilliant.